Burlesque is an exotic dance style that draws on theatrical and often comedic performance elements. First introduced by a visiting British dance troupe in the 1860s, burlesque took off in America even as its popularity dwindled in England. 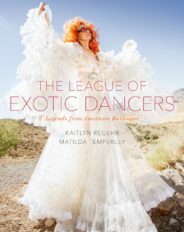 The American style of burlesque evolved and spread across the country, but with an increased emphasis the exotic elements that had been more subtle in British performances. The following timeline highlights key moments in the history of American burlesque. Featured image provided by Matilda Temperley. Please do not re-use without permission. Dr. Kaitlyn Regehr is a writer, documentarian and scholar of cultural studies. Her work has been published internationally across academic and popular print media. In addition to serving as a topic specialist for BBC World, she has created documentary content for iTunes and networks including Super Channel (CA), SWR (DE) and ARTE (FR). Regehr's work has explored intersections between gender, performance and politics in female driven communities. Matilda Temperley is an award-winning photographer. Her work regularly appears in international publications such as, The Guardian, The Telegraph, Harpers Bazaar and National Geographic. Matilda's work is inspired by marginalized societies. Her sell out book, Under The Surface-Somerset Floods won the Royal Photographic Society's Vic Odden Award in 2015. Her second book, Omo- Change In The Valley documents human rights abuses in Ethiopia.